In this March 13, 2019, file photo, Facebook, Messenger and Instagram apps are displayed on an iPhone in New York. Facebook, Instagram and WhatsApp were temporarily down early Sunday, April 14. 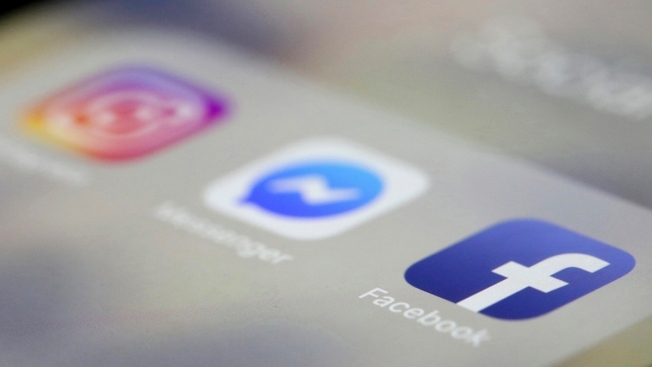 All three social media platforms, including Facebook Messenger, were affected by the outage.